En este curso de 30 horas de ACS, para alumnos con un nivel avanzado de inglés, se examinará la mítica Route 66 y su influencia sobre la cultura americana. 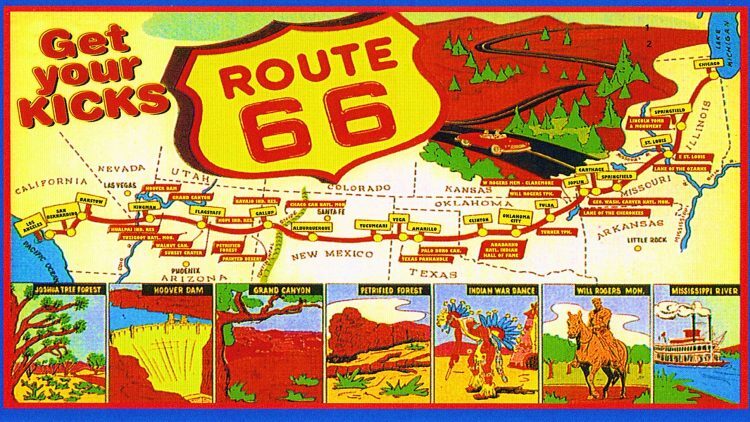 No other road has captured the essence and imagination of the American Dream quite like Route 66. This course will take a road trip along America’s most legendary cross-country highway, Route 66. As we make our way from the Midwest to the Pacific Coast, we will travel across eight states and three time zones, through farmlands, mountains, small towns and bustling cities. We will explore how the Mother Road shaped the culture of the American automobile in its heyday as well as Route 66’s deep roots in U.S. popular culture through film, literature, music, and television. This course is designed for learners with an Advanced or Proficiency level of English.